I have been a member of a local photo club called Bekkalokket Fotoklubb for three years. The club is again part of Norsk Selskap for Fotografi - NSFF (The Norwegian Society for Photography). The society is a member of Federation International de l'Art Photographique (The International Federation of Photographic Art) - a bit complicated, isn't it? Yesterday, at the annual meeting of NSFF, I received the distinction Artiste FIAP. The distinction is based on the results obtained in various international contests (called salons). I have never looked upon myself as an artist, but now I can at least call myself one! C'est magnifique - n'est pas? It never occurred to me NOT to call you an artist. All of your work has technical artmanship and a definite creative flair. Congratulations, Rune. It's a wonder to me why you are surprised by such accolades. Such modesty. You have been welcomed into the fraternity of artists and should be pleased at the recognition. Javisst er deu en artist! Det har jeg visst lenge! En flott ikon, ser nesten gullbelagt ut..
Og ha en flott søndag! Her har det regnet og er bare 10 gr.. føles kaldere ute..
We knew it all the time, that you are an artist, our source of lumen. Bær nåla med ære du, den fortjener deg og omvendt. C'est magnifique, indeed! That is fantastic, Rune! And yes, so well deserved!! I've always thought of you as an artist!! Celebrate and have a great week!!! i'm glad that FIAP gave you this distinction, you deserve it so much! yes, C'est vraiment magnifique! Bravo! Wonderful, congratulations! This is well deserved! One only has to look at your photographs to know that you are an artist. Gratulerer Rune!!! velfortjent og tenk bare så mange *knips* du har vist.... ufattelig bare den tanken! Of course! you of all the blogers I know deserve this distinction. Your photos have given us much joy. A thing of beauty is a joy for ever! Grattis! Franske fraser ... vel, ikke spør meg. Men det både høres fint ut og ser bra ut på trøkk! well, your photos look like art to me. Well done. Bravo! Bravissimo! Of course you are an artist. I have known it for as long as I have followed your blogs. Oh many well deserved congratulations! You most certainly are an artist. 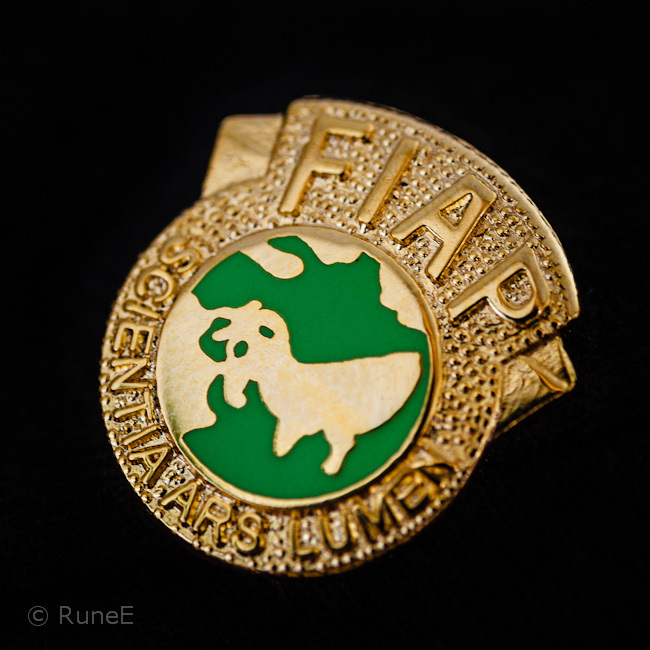 Congratulation, Rune! I am so happy that you received an award. You certainly did deserve it. I have always thought of you as a true artist and I'm just thrilled that FIAP recognized you in this way. Yes, it truly is magnificent!! That's great, Rune. You surely deserve it! Congratulations, Rune! You are indeed an artist (and a humble one at that!). WOW, så utrolig moro!! Gratulerer så masse, det er veldig fortjent!! Funny how we don't see ourselves as others see us. Of course you are and have been an artist! A fine artist at that. Gratulerer med en vel fortjent utmerkelse.